Following the violence between Israel and Palestine in Gaza and the West Bank over the summer where over 2,000 people were killed, there has been increased attention on the possibility of the International Criminal Court (ICC) investigating alleged war crimes, not only in the recent conflict, but in conflicts stretching back decades. Previous attempts by Palestine to award jurisdiction to the ICC have failed due to lack of Palestinian Statehood; however, following recognition by the United Nations General Assembly in November 2012, the Palestinian government has deposited the requisite documents with the UN Secretary General becoming the 123rd state to accede to the Rome Statue, despite the leader of the Palestine National Unity Government recently maintaining that he would rather pursue direct negotiations with Israel to resolve the crisis. Israel is not a member of the Court and stands in firm opposition to it so this action to grant the ICC jurisdiction risks worsening the relationship between the two states and, indeed, Israel has already taken steps to punish Palestine for this move. Membership of the ICC and its constituent document, the Rome Statute, is limited to states only and Palestinian membership has been problematic as a result of its lack of internationally recognised statehood. In January 2009, the Palestinian Minister of Justice made a declaration to the Court recognising its jurisdiction over crimes committed on the territory of Palestine since the entry into force of the Rome Statute. After much deliberation, in April 2012 then Prosecutor of the ICC, Luis Moreno-Ocampo, rejected this declaration as invalid on the grounds that Palestine was not a state, as it only held ‘observer’ status before the UN General Assembly. However, in November 2012, the UN General Assembly accepted Palestine as having ‘non-member state status’ within the UN, thus officially recognising it as a state and opening the door for Palestine to accede to the Rome Statute. Following this, there was much discussion as to whether this would retroactively validate the previous ad-hoc declaration of Palestine awarding jurisdiction to the Court; however, it remained invalid due to Palestine’s lack of statehood at that moment in time, meaning it lacked the legal power to sign treaties. Palestine made no further moves towards the Court following this and maintained no decision on the ICC would be made until the outcome of the UN-appointed commission of inquiry into possible war crimes (expected in March 2015) was known. This changed, however, in December 2014 when Jordan presented a draft resolution to the UN Security Council calling for a final peace agreement and Israeli withdrawal from the occupied territories, which would essentially fully establish Palestinian statehood.This draft resolution failed to get the requisite number of yes votes to pass, but would have failed anyway due to US veto. On the back of this, Palestine deposited its instrument of accession to the Rome Statute with the UN Secretary General on the 2nd January this year, which was accepted and Palestine became a member of the Court from this date. The Rome Statute will enter into force for Palestine on the 1st April this year, thus giving the ICC jurisdiction over war crimes, crimes against humanity and genocide committed in Palestine or by Palestinian nationals. Normally when a state accedes to the Rome Statute, the ICC’s jurisdiction only extends to crimes committed after entry into force of the Statute for that state. However, states have the option of submitting a declaration under Article 12(3) of the Statute extending the jurisdiction of the Court. 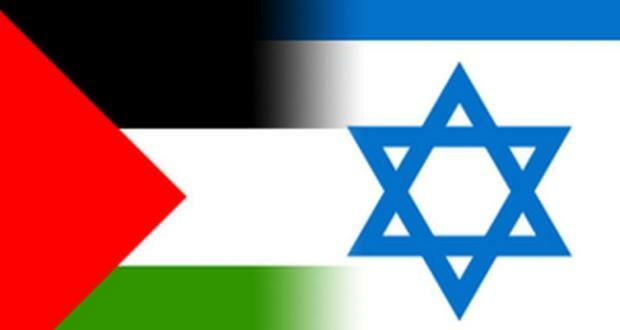 On 1st January 2015, Palestine deposited a declaration accepting the jurisdiction of the Court from 13th June 2014. This therefore allows the Court to investigate crimes committed during the conflict in Gaza last summer, but the specific date is politically controversial as it excludes the kidnapping and killing of several Israeli teenagers on 12th June. However, this date was chosen as the same date as the beginning of the UN Human Rights Council fact-finding mission into last summer’s conflict. By making a declaration granting ad-hoc jurisdiction to the ICC and thus including the most recent conflict in Gaza, Palestine cannot exclude crimes committed by persons on its own side. In petitioning the Court – should Palestine choose to do that at some point in the future – Palestine could only refer a situation, not a specific case, meaning that the ICC Prosecutor would investigate the entire situation and, undoubtedly, Palestinian fighters, including Hamas, would come under investigation as well as Israeli fighters. Support of Hamas is therefore crucial to ensuring any action before the Court is successful and Hamas has signed a pledge outlining that it supports Palestinian membership of the ICC, believing it is the right of every Palestinian citizen and, indeed, signing of the Rome Statute should have taken place before the recent conflict. Just because Palestine has become a member of the Court that is not to say that any cases will be brought before it over the conflict last summer. In order for a case to be opened at the Court, the situation either has to be referred by a State, the Prosecutor must open a proprio motu investigation, or it has to be referred by the Security Council. However, the latter is unlikely to happen as the US is a longstanding ally of Israel and is firmly opposed to the Court, which would undoubtedly lead it to veto any resolution attempt. By making an Article 12(3) declaration, Palestine has not referred the situation last summer; it has merely announced that accepts the Courts jurisdiction over crimes committed on its territory. On 16th January the Office of the Prosecutor announced that it was opening a preliminary examination into the situation in Gaza and the West Bank ahead of the Rome Statute entering into force for Palestine. This is not the same as an investigation by the Prosecutor, but is merely a process of examining the available information to decide whether to initiate an investigation. This move has faced a lot of backlash from Israel and its supporters, but does not necessarily mean the Prosecutor will proceed to an investigation as it currently has 9 open examinations into war crimes, many of which have been open for years without proceeding to the investigation stage. Even if a referral from a state or the Security Council was to occur, the Prosecutor can decline to prosecute following an investigation if he decides that a prosecution is not in the interests of justice. This is likely to be a very relevant consideration for the Prosecutor due to the ongoing hostilities between Palestine and Israel and the undoubted worsening of relations arising from the Court’s involvement due to Israel’s longstanding opposition to the Court. Even though the ICC now has jurisdiction over the situation in Palestine, that does not necessarily mean that a case will be brought before it. In addition to the potential for the Prosecutor to decline to pursue charges, there are several other barriers to a case coming before the Court. In particular, Israel stands in strong opposition to the Court and has already taken measures to retaliate against Palestine for its move towards the Court. After the announcement that Palestine was to join the court, Israel responded by halting the collection of £83m worth of monthly tax revenues that it collects on behalf of the Palestinian Authority, thus potentially destabilising the Palestinian economy and could lead to the collapse of the Government. Furthermore, Israel has asked the United States to withhold the $400m of aid it gives Palestine should Palestine make a referral to the Court. In addition to worsening Palestine’s financial situation, an Israeli official has stated that it will no longer pursue direct negotiations with Palestine over Jerusalem, the city both states claim as their capital. With tensions between the two states likely to heighten as a result of Palestine’s accession, it is unlikely that the involvement of an international court will help to settle the differences between the two states. Without the support of Israel before the Court, any attempt to pursue a case against its nationals is going to be severely undermined and is ultimately unlikely to be successful. Despite the issue of Palestinian statehood being somewhat settled, the resolution before the General Assembly affirming this specifically stated that the issue of borders has to be settled by negotiations and therefore the territory of Palestine remains undefined, which may cause an issue for determining if the ICC has jurisdiction and for defining the parameters of any investigation. The Court may breach international law if it was to define Palestine’s territory for the purpose of investigating the situation as the Monetary Gold principle sets out that an international court cannot determine the legal rights and duties of a state that is not party to a case and has not given its consent. By determining the territorial limitations of Palestine, that in turn would determine the territory of Israel, which is not a state party to the ICC, thus the Prosecutor may have to defer a case on this basis. Furthermore, several areas of the West Bank are considered to be under the territorial control of Israel and thus it can be argued that Palestine does not have the power to delegate jurisdiction over these areas to the Court. The Rome Statute is embedded with the principle of complementarity, which means that the Court can only take action if a state having jurisdiction is unable or unwilling to carry out an investigation or prosecute. If Palestine was to prosecute domestically, which seems unlikely due to its desire to pursue international justice, a case before the ICC would become inadmissible. This would also be the case should Israel pursue domestic action virtue of its nationals potentially being subject to charges before the ICC. As Israel objects to the jurisdiction of the ICC in this situation, it is likely that it will do everything in its power to prevent a case against its nationals being pursued at the international court. At present Israel is currently carrying out an investigation into the events last summer, which may be enough to make the situation inadmissible before the Court. However, the Israeli High Court of Justice has previously ruled that the issue of Israeli settlements in the West Bank is not justiciable.The Rome Statute prohibits the movement of citizens into occupied territories so by this ruling Israel could be seen to be ‘unwilling’ to exercise its jurisdiction over the matter and therefore could not stand in the way of the Court pursuing prosecutions on this issue. If Israel is prevented from stopping the Court’s jurisdiction in this way, it has the option of itself symbolically becoming a member of the Rome Statute and filing a declaration under Art 124 of the Statute, allowing it to delay the Court’s jurisdiction over war crimes committed by Israeli nationals for up to 7 years. This is an extreme measure that Israel would be unlikely to take, but if it were to do so it would make a mockery of the already controversial Court. The Security Council also has the power to defer a case before the Court for 12 months following a Chapter VII resolution, of which it can make numerous consecutive resolutions if it determines that an investigation or prosecution is not in the interests of peace. In light of the already high tensions between Israel and Palestine, any potential case before the ICC instituted by Palestine is likely to further exacerbate this and undermine the ongoing peace process. If the Prosecutor was to pursue a case it is likely that the United States would attempt to push through a resolution such as this in support of Israel. If the US gained enough support for this, it could potentially defer a case before the Court indefinitely. Thus it is important that Palestine has support within the Security Council if it wishes the Court to pursue a case. In particular, Palestine needs a Permanent Member that is willing to veto any proposed resolution by the United States, which is perhaps why a member of the PLO recently met with the Russian Foreign Minister. Considering the long running conflict between Israel and Palestine, any case brought before the ICC has the potential to be more complex, both politically and legally, than any other case the Court has heard. As such, it is unlikely we will see any charges brought before the Court for the foreseeable future. Indeed, Palestine’s accession to the Rome Statute may prove to be nothing more than symbolic if Israel succeeds in blocking any potential cases from going ahead. With the Court already being limited in its jurisdiction due to territorial disputes and only having a very limited scope to prosecute Palestinian criminals, the Court is going to be ineffective in resolving the dispute between the two states, and, indeed, its involvement will only serve to worsen the tensions going forward. With the situation in the Middle East already volatile, it is imperative that the international community supports Palestine and Israel to reach a peaceful settlement of their disputes and the must Prosecutor take this into account when deciding whether to go ahead with an investigation.